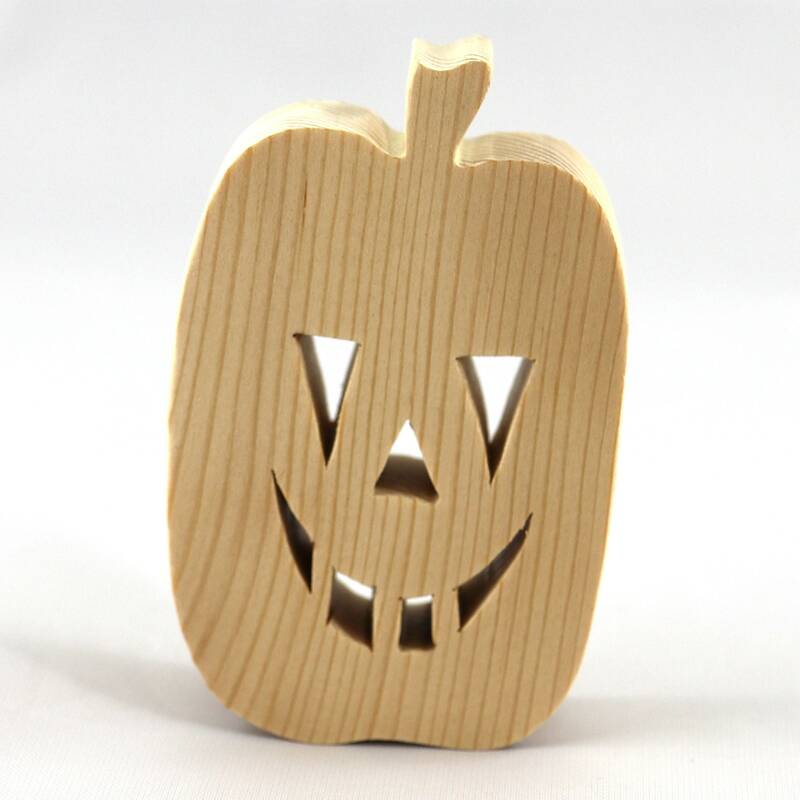 Make Halloween ornaments, mobiles, toys, and other rustic decorations from these hand made wooden Jack-o-Lanterns. I sell theses individually instead of in sets so you can pick and choose only the ones you want. Shipping per item gets lower as you buy more of them. are freestanding and make good pretend toys. Plywood MDF and other materials. I can make sizes up to 8x10 inches and thickness from 1/8 to 3/4-inch. Many sizes are possible. Please contact me for custom order pricing. I made the first batch of these for my grandson, Odin. He is crazy about anything Halloween related. Some friends saw them and wanted them too. They are great Halloween decorations but, for my grandson they are toys. He builds haunted houses from blocks and uses them as scary occupants. It is not intended for use by children under three or children who like to chew on things. I recommend sealing with shellac before applying craft paint. You can use craft paint without sealing. However, it will require more painting and more sanding to get a smooth finish. If sealed and painted, wooden Jack-o-Lanterns are safe for outdoor use. These Jack-o-Lanterns are handmade from real wood. Each piece, even from the same board, is different. The Jack-o-Lantern you receive may not look the same as the one in the listing photos.